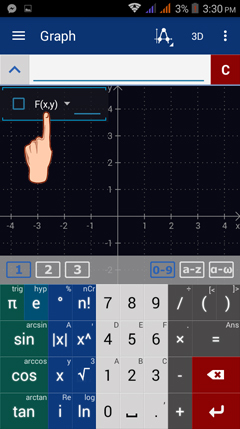 In Graph mode, enter the equation into the input field as it appears in the problem. 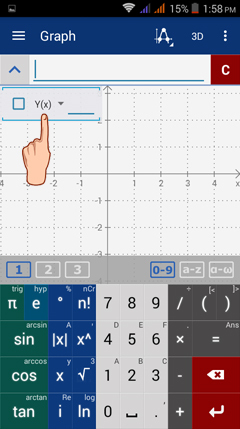 Enter each equation into the input field. Tap the function key to activate it. 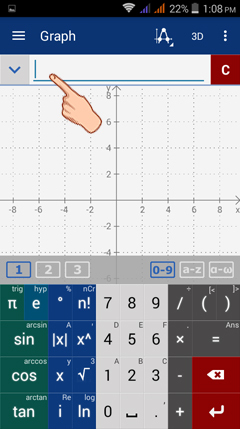 To show the function list (or scroll-down menu), tap the brown square button (with v-shape) at the left-hand side of the input bar. 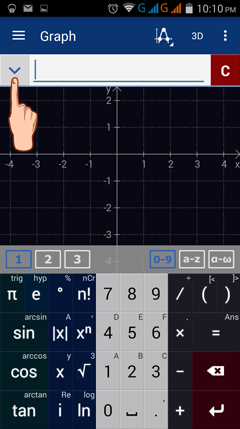 Then, a square button, one function key and a small triangle, respectively appear right below the input bar. See sample image below. 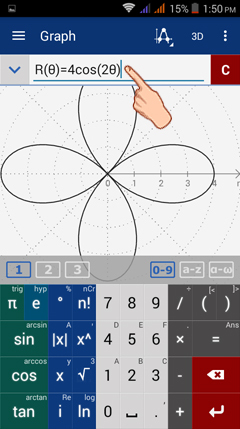 Tap the small inverted triangle, situated at the right of the function key, to show the other functions in the list. 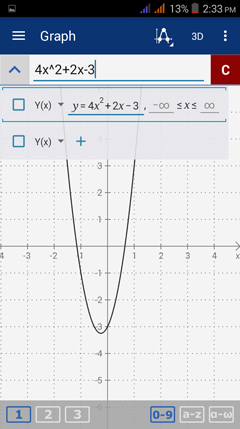 The complete list of functions is shown in the scroll-down menu. Tap the inverted v button to hide the list back. 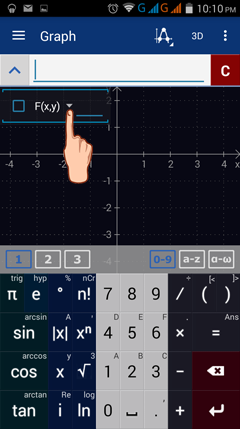 Activate the appropriate function key for a given equation. 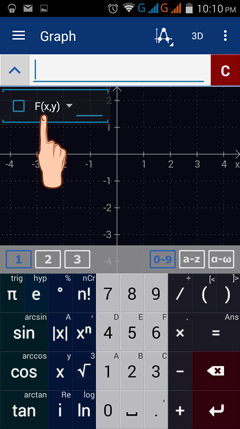 Then, key in the equation into the input field. 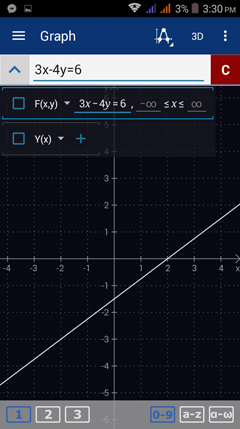 Sketch the graph of each equation below using the desired function button. 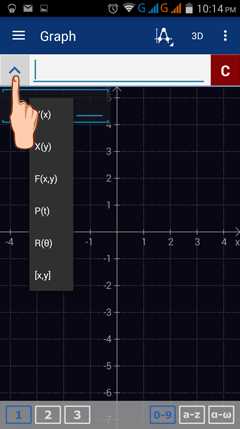 ​ Select F(x, y) in the scroll-down menu. 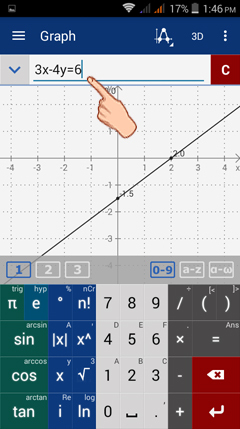 Then type in: 3x - 4y = 6. 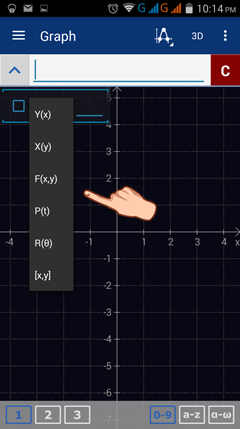 Because the function is defined in terms of x, select Y(x) in the scroll-down menu. Then type in: 4x^2 + 2x - 3. 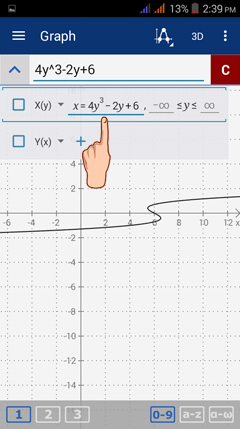 Since the function is defined in terms of y, select X(y) from the scroll-down menu. Then type in: 4y^3 - 2y + 6. 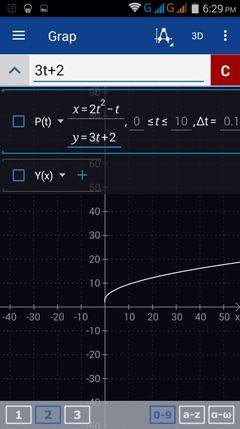 Select P(t) from the scroll-down menu and type in: 2t^2 - t.
The graph is shown below. 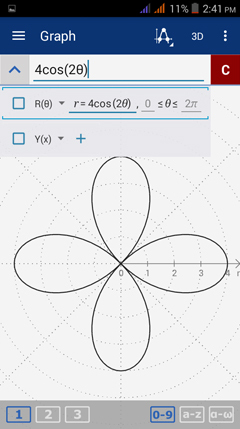 Select R(θ) from the scroll-down menu and type in: 4 cos(2θ).